Why being a member is so important! Join over 440 like-minded business owners. Camping In Ontario (OPCA) was started 50 years ago by a group of campground owners to represent their interests. 50 years later many of the original campgrounds are still members of the association. Why renew year after year? Simply put, we still only represent campgrounds and the unique issues that our industry faces. There are many association you can join, but we are the only one in Ontario that represents campgrounds. The dedicated staff team presents our industry’s perspective to all levels of government and the more businesses we represent, the harder we are to ignore. All monies generated by the association go back into association activities. Our association is governed by an elected board of directors. All directors must be either campground owners or managers. Directors serve three-year terms, to a maximum of 3 terms. We ensure that our board members represent all types of campground sizes from locations all over the province. Board elections are held at the Annual General Meeting each November. The Association’s executive (President, Vice President, Secretary, and Treasurer) are all appointed annually. Our board ensures that all activities the association undertakes, either increase the education of our membership, increases the marketing of our members or advocates on behalf of our membership. 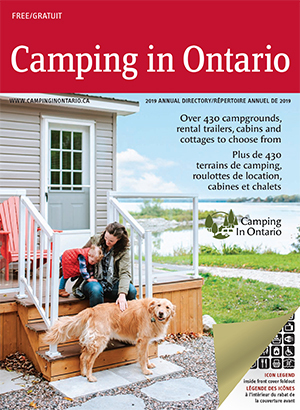 Listings on our website and our annual directory of campgrounds in Ontario is available only to members and is part of your member dues. The benefits that campground owners receive far exceed the cost of membership. We encourage you to visit our benefits of membership page for more details.